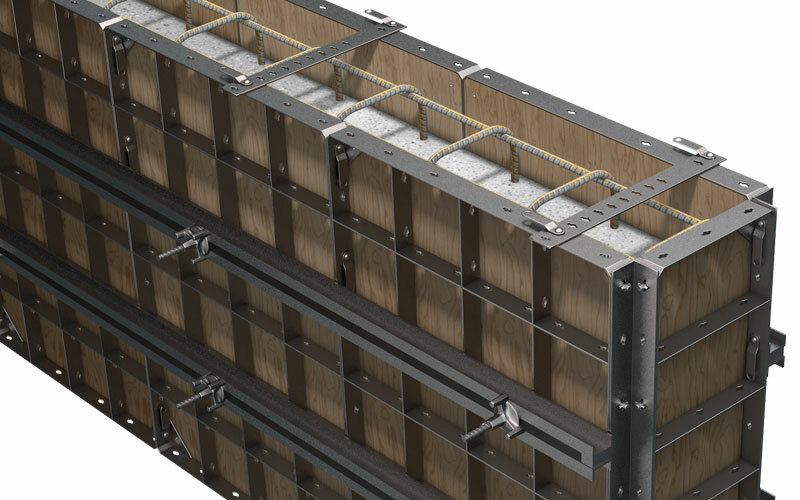 Fast, reliable formwork, Modform makes a decisive contribution in this vital step towards cost reduction in concrete construction. 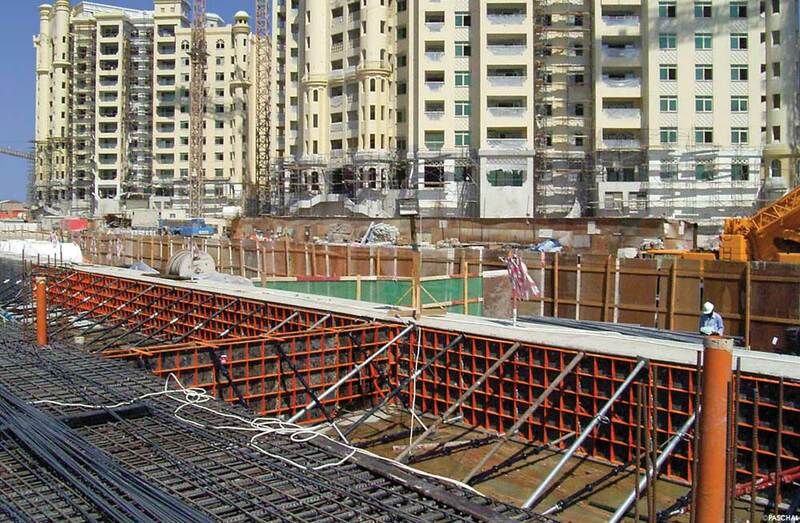 Modform Universal Formwork is an impressive indication of how one single formwork system can be put to universal use. The steel frame of the Modform panels consists of 6mm thick flat steel with an inlay of 15mm thick 11-ply phenol resin-coated Finnish birch plywood. There is a half tie hole on the side of each panel, so when two panels join it forms a full tie hole. The tie positions are located 125mm vertically from the bottom of the panel. 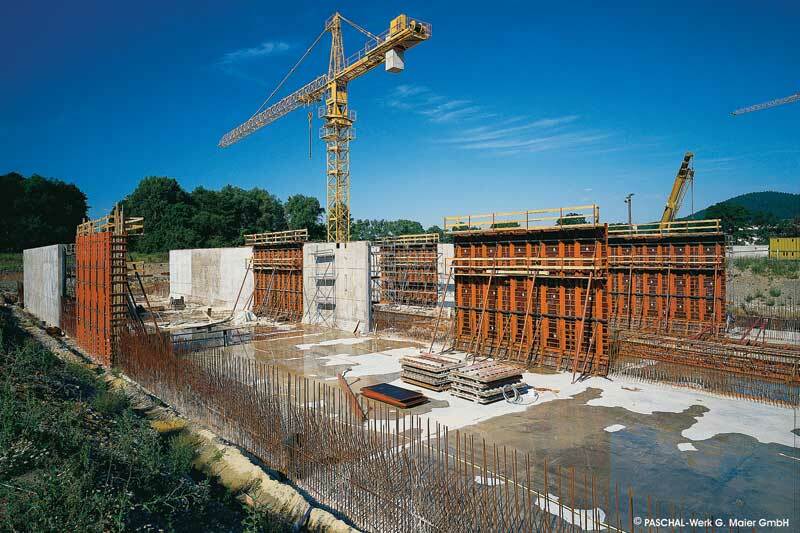 many different building sites where it demonstrates its versatility, adaptability and flexibility, for foundations, walls, shafts, round walls, columns or beams. 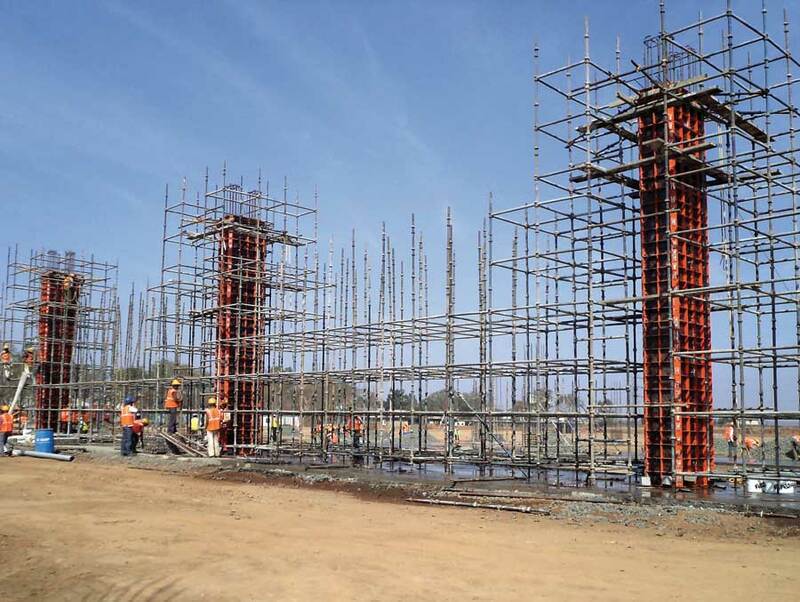 The degree of difficulty of the structures to be built can vary considerably, because the balanced range of panels means that the formwork can be adjusted ideally to all layouts and cross sections. The size of the structures to be built does not matter: small surfaces are not a problem for the Modular panels. 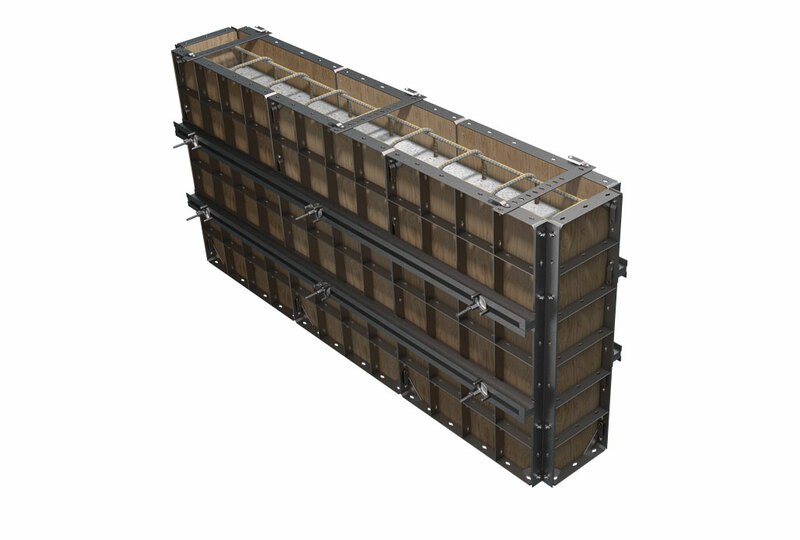 The maximum concrete pressure for the Modular panels is 35 kN/m2 for the 1000mm wide panel according to DIN 18218 in full compliance with the tolerances of deflection according to DIN 18202, table 3, line 6. See table, below right. 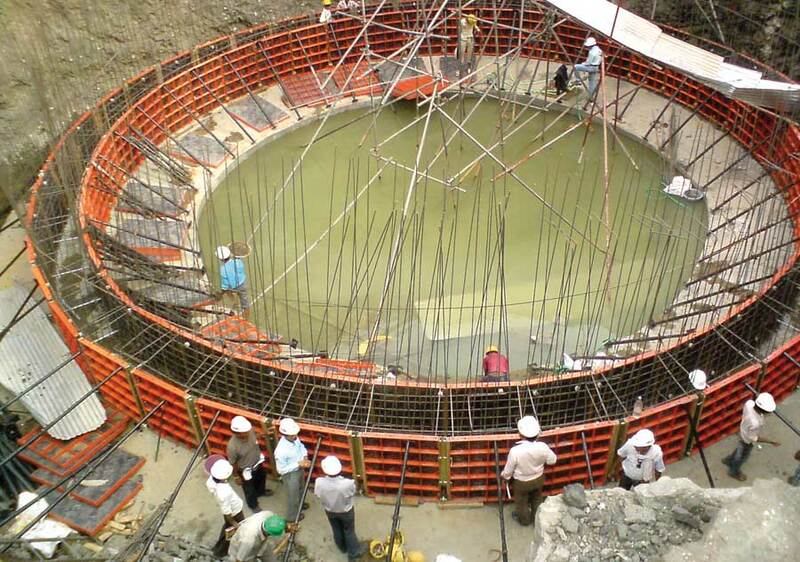 For GE panels, the maximum concrete pressure is 60 kN/m2. 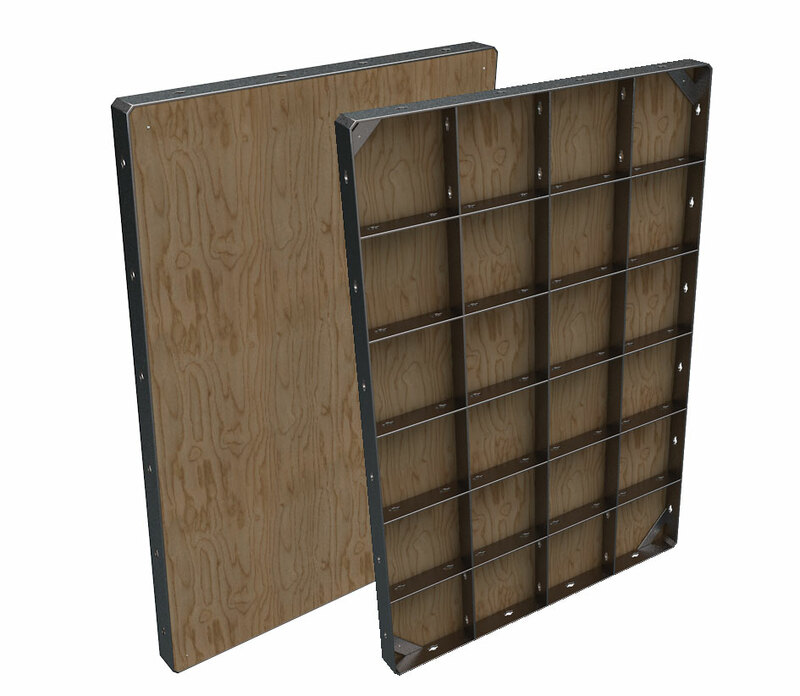 The basic Modular Formwork panel measures 100 x 125 cm and weighs 49.5 kg. GE panels are 200 (150) cm wide and 250 (275) cm high.